Lloyd Cole brought standards and practices to St Helens, Getintothis’ Paddy Hoey was there to hear an old master at work. 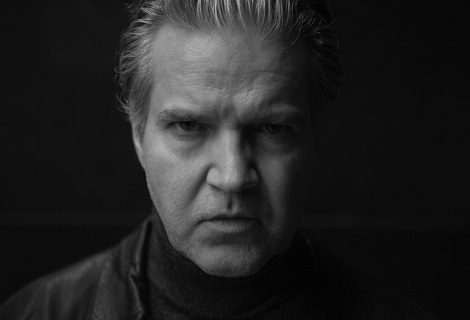 Lloyd Cole wasn’t apologetic for the quiet nature of this show. He explained that when it is only him, a guitar and a whole bunch of songs without a band, it’s better quiet. This was especially so in the intensely intimate surroundings of the wee Citadel in St Helens. It was an understated and mannered affair – as it should be when one man spans his near 30-year career of writing literate pop with just an acoustic and a wonderfully expressive, mature voice. As befits a man who has spent much of the 15 years documenting the foibles of liberal America, Cole cut the debonair dash of a still fashionable 50-something senior English Literature professor, clad and shod in shirt and jeans and a pristine pair of tan Clark’s Originals. And he still has it, with one woman hollering: “You’re hot!” prior to the start of the title track of his 2010 album, Broken Record. “I’m sure you’re not bad yourself“, he graciously replied. The show was split into two acoustic sets – the first started quietly, the second, he noted, wasn’t going to get any louder. Set one started with Past Imperfect from his 2000 ‘comeback’ record, The Negatives, a song that celebrates an unreliable memory of personal history. Across the two sets, there was a nice mix of songs from Cole’s most recent album, Standards, some solo era songs and a clutch of Commotions hits that were warmly received. 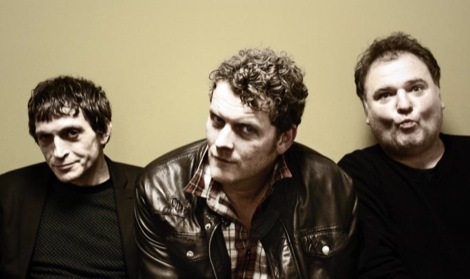 Standards has been recognized as his best record for some time, praise indeed given every record since The Negatives has been top notch, but a Later…With Jools Holland slot has increased attention further. Period Piece, Diminished Ex, Blue Like Mars, Myrtle and Rose, Opposites Day, Silver Lake, It’s Late, and Kids Today were the Standards tracks integrated into the greatest hits. Standards represents a man that has made peace with his past and is now happy producing music that sounds like him rather than always trying to find a new sound or direction. The earlier solo period songs were fewer than they have been on recent tours and mostly spanned the immediate post-Commotions period. Don’t Look Back, No Blue Skies and Undressed from 1990’s eponymous solo record were joined by Butterfly from 1991’s Don’t Get Weird On Me Babe and Unhappy Song from Love Story in 1995. There was also a nice version of the title track of 2003’s Music in a Foreign Language. For the curious, these records are well worth investigating on Spotify, YouTube or wherever youse’ hipsters get yer’ tunes from these days. As a man who wears his influences on his sleeve, Cole tossed in two well-judged covers: Laughing Lenny Cohen’s Chelsea Hotel No2 and a beautiful Lou Reed tribute cover, Pale Blue Eyes. However, the starring role was given to loads of Commotions tunes: Why I Love Country Music, 2CV, Cut Me Down, Perfect Skin, Rattlesnakes, Mainstream, Perfect Blue and Hey Rusty were augmented by an audience sing along Jennifer She Said and a wonderful encore of My Bag and Forest Fire. Cole’s voice is a wonderfully expressive instrument. He displayed the low emotive qualities of his idols, Cohen and Reed, while remaining capable of the high notes. The phrasings on the newer songs illustrate how much he loves Bob Dylan, whose Tempest album partly provided the inspiration for Standards. Cole’s guitar playing, although not flashy, was also beautifully pitched to augment his brilliant lyrics. It may not have been Bert Jansch folky virtuosity, but nor was it a rudimentary Leonard Cohen strum. The moral of the story is Cole seems to be someone completely at peace with his place in the modern musical world. He has 30-40 great songs that stand the test of time, he continues to produce new material at regular intervals and his voice is warmly maturing like a great whisky. That he can regularly gather 300-or so people in towns and cities across Europe and the US, is a testament to his enduring talent.